Laurel thinks she’s just a normal thirteen year old. But when her mother is kidnapped and a strange woman with green scars turns up on her doorstep, Laurel discovers that she is really a seedmage — she can control plants using magic — and that her mother can no longer protect her from the terrifying Nightshades that now roam the NY city streets. 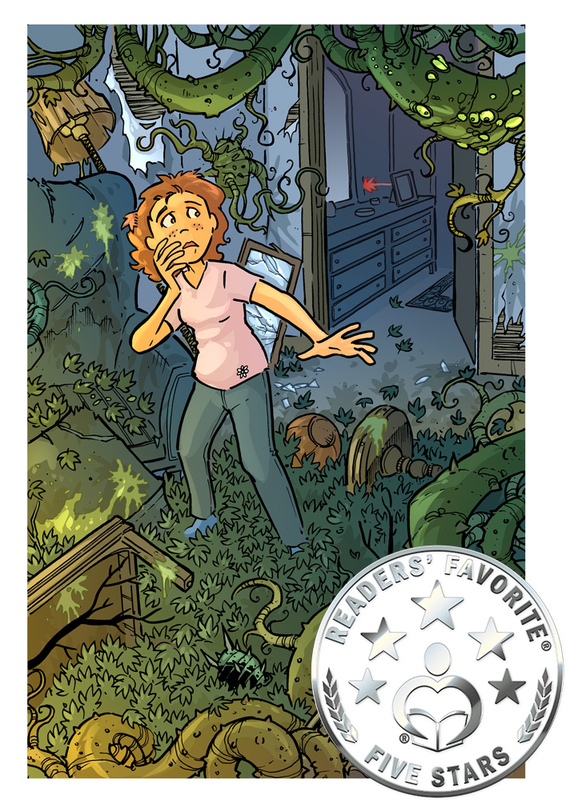 Following her mother’s kidnapper, Laurel finds a hidden world known as The Kingdom Of Plants. A world where plants & imagination unite to create powerful magic and entire cities can grow from a single seed. With the help of new-found friends, Laurel must learn to control her powers and save her mother from a mysterious enemy — one who seeks to twist the laws of nature and bring the Kingdom of Plants to its knees. Enter a world where magic, and monsters grow where you least expect. The Kingdom Of Plants is about a young girl who can grow plants using magic. The series is recommended for readers 10+ and anyone who loves plants, nature or magic. You can find out more on the Blog, at my Twitter account or sign up below to receive news via email. 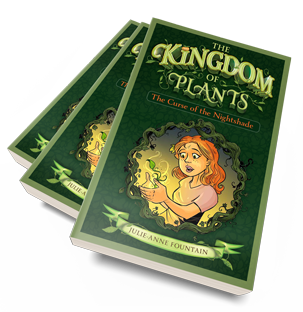 “The Curse of the Nightshade: The Kingdom of Plants Book 1, has all the elements of a good adventure. Strong, loveable protagonists, strong but evil antagonists, a fascinating plot and lots of excitement to lead the reader into a garden maze of fun, fear, and action. Hidden behind this action-packed adventure are some elements of societal and ecological significance. Laurel speaks out with conviction for the importance of plants, for the importance of things that grow in the earth. ~ Readers’ Favorite (5 Star Review).